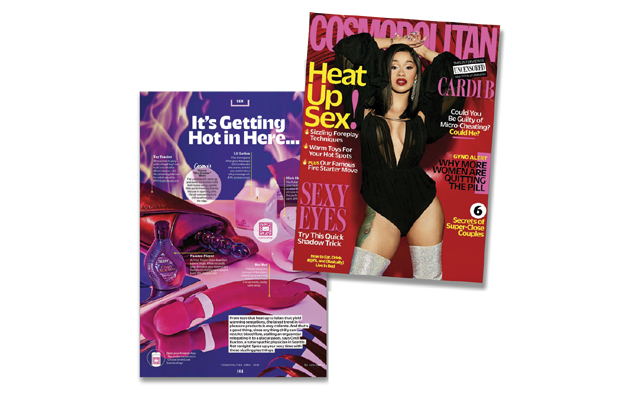 Doc Johnson’s iWand heated massager is featured in US Cosmopolitan Magazine’s April 2018 issue’s cover story, ‘It’s Getting Hot in Here…’ Released in 2018, the iWand is a silicone vibrating massager that delivers deep, rumbly vibrations but it also has a gentle warming mode that slowly heats the silicone wand head to a pleasurable, body-safe temperature. It can be used with the warming and vibrating modes active, or the user can just choose one. For more information on Doc Johnson’s iWand, including a how-to-use guide and info sheet, visit the iVibe Select category of the company’s website resource centre.